As you may know, Kappa Delta Pi is a supporting organization of the Teach to Lead initiative of the National Board for Professional Teaching Standards, ASCD, and the U.S. Department of Education. This initiative began to advance student outcomes by expanding opportunities for teacher leadership, particularly those that allow teachers to stay in the classroom. We are pleased that Teach to Lead will now be hosting their sixth Teacher Leadership Summit in Baltimore, MD, on February 13–14, 2015. At the Summits, educators from around the nation will work to collaborate, problem solve, and develop action plans to put their own teacher leadership ideas into action. 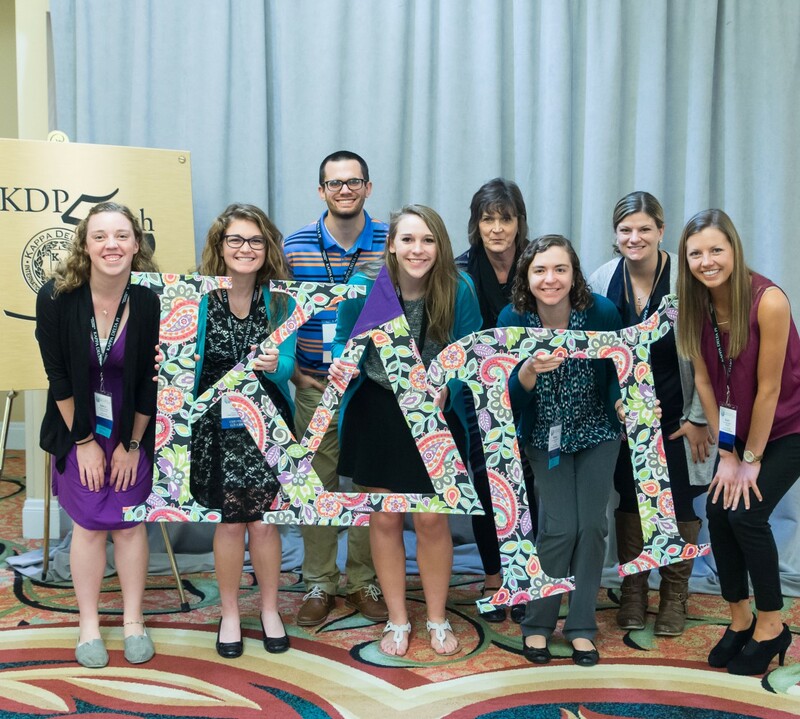 Our hope is to attract the best teacher leadership ideas from exceptional educators across the country—which is where Kappa Delta Pi comes in. As a member of Kappa Delta Pi, you are invited and encouraged to submit an actionable teacher leadership idea to be presented at this Baltimore Summit. Teach to Lead does ask that you bring a team of up to 5 stakeholders—teachers, principals, administrators, school board members, and so on—to make the best progress at the Summit. At least one member of your team MUST be a practicing educator. Have an actionable teacher leadership idea. Have at least one practicing classroom educator on your team. Commit to taking implementation steps following Summit participation. Be available to attend the entire summit (Sat, Feb 13 at 8 a.m until Sun, Feb 14 at 12:30 p.m.). Allow teachers to lead from the classroom. Identify an area of need or target a specific problem. Develop and implement approaches that address the need or solve the problem. Utilize teachers’ professional experiences and expertise. Promote collaborative work among stakeholders. Seek to create systemic supports for teacher leadership. Be viable in the local context and sustainable over time. Be able to show measurable progress over time. Idea submissions will be reviewed by a team of teachers. For those who receive an invitation to participate, registration, lodging for those traveling over 50 miles, and some meals are provided free of charge. You can submit an idea for the Summit regardless of where you live, but travel costs are not covered, so please keep that in mind when you apply. The deadline for idea submissions for the Baltimore Summit is December 13, 2015 at 11:59pm ET. All idea submissions must be completed and submitted by this date and time. Click here to submit your best teacher leadership idea. The Teach to Lead team will notify you if your idea is accepted for attendance by January 8, 2015. Please contact the Teach to Lead educator engagement team with additional questions. Their contact information is below.